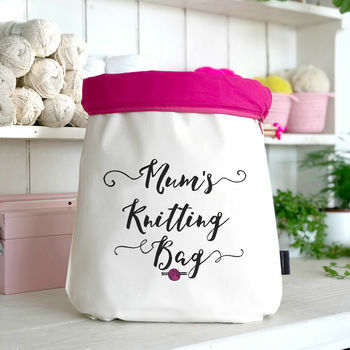 This large, lined bag makes a lovely gift for knitting mums this Mother's Day. Perfect for storing her latest project or wool stash. 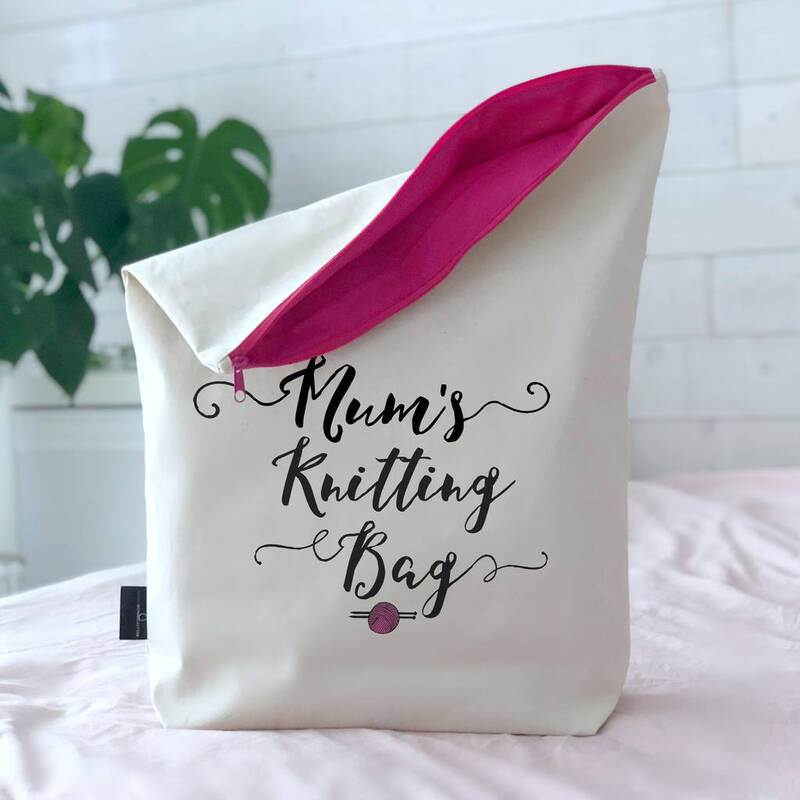 The bag reads 'Mum's Knitting Bag' in a black calligraphy style font and is lined with pink cotton. It zips closed so your mum's knitting will be safe from dust or little hands! We can print any name or title on the bag so if you would like Mom, Ma, Mother, or anything else, leave a note in the box above. 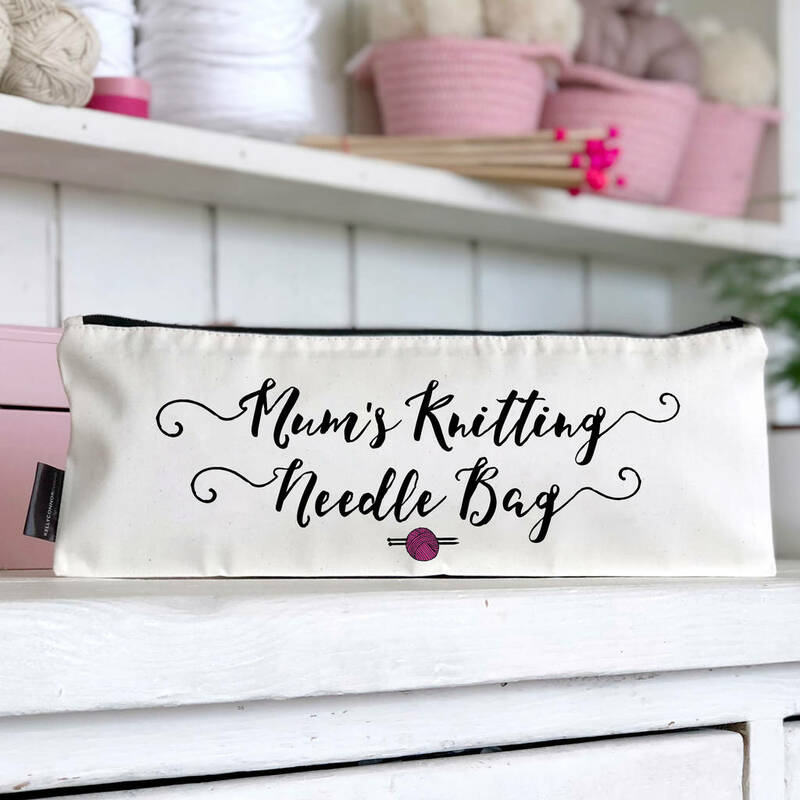 If no note is left 'Mum's Knitting Bag' will be sent out. A matching print needle bag with black zip can be added to your order using the drop-down menu above.